DRIVING in Europe can be a stressful prospect for anyone, but negotiating local parking laws and finding an accessible space when you’re a disabled driver or have a disabled passenger can create additional frustration. Driving regulations vary by country, and sometimes it’s difficult to find out what disabled parking concessions do and don’t apply within Europe. What’s more, drivers may also have to overcome additional barriers, such as language, which can cause unwanted stress when it comes to your parking card being accepted or recognised. For this reason, iCarhireinsurance.com have created a simple print-out for drivers to display next to their Parking Card. 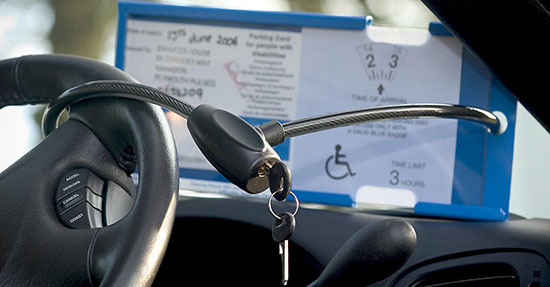 The print-out explains that the card holder is a disabled visitor to the country and that the Blue Badge Parking Card should allow the driver the same parking concessions as a disabled citizen of that country. These have been translated and plotted on a map of Europe for your convenience so you can easily select and print the one(s) appropriate for the country you’re visiting. Simply visit: https://www.icarhireinsurance.com/disabled-driving-in-europe to download & print yours today!